STTA IS CELEBRATING 80 YEARS OF TABLE TENNIS!! TICKETS ARE £4 WHICH WILL INCLUDE FOOD . SO FAR WE HAVE VERY FEW ENTRIES FROM OUR LOCAL PLAYERS!!! 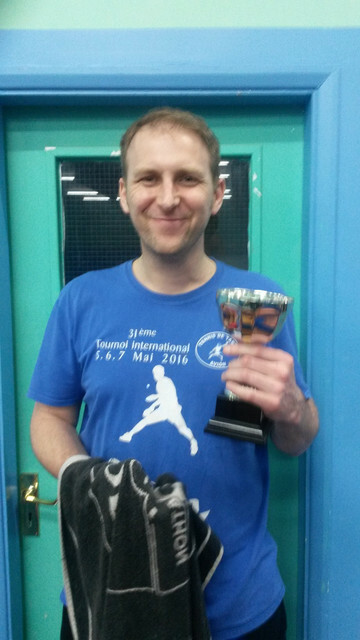 Jan had quite a good weekend, as he also took the Veterans title, beating a gallant Pete France in both finals. He also paired up with John Peters, to take the Draw Doubles title, as well as taking the Open Doubles title, pairing up with Liam Rowson. He didn’t win the raffle though! Kirton Klassics won, in a very close match, by 23.5 points; just 1.3 points per game! Harry Melling inflicted most damage; actually winning two of his games. STTA competitors in the LTTA Competitions, held at Clee Sports Hall, Grimsby on Sunday 10 March 2019. Jan Baltazarovic, Andy Prescott, Dave Carter, Phil Beresford, Andy Kelly, Anth Thomas, Tomasz Chabowski, Rod Boyers, Jack Christian and John Peters. 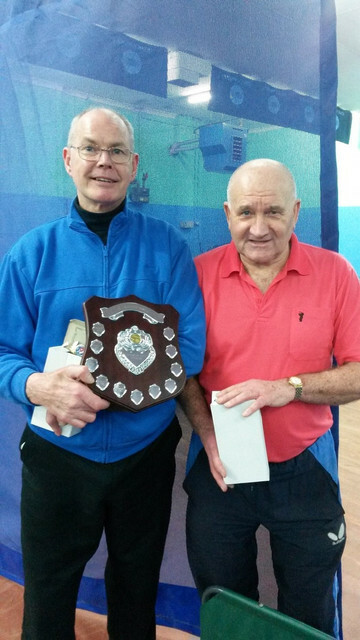 Scunthorpe ‘A’ won the over 60’s title (Andy Dibdin, Jack Christian and Andy Prescott) in the Johnson Trophy. Scunthorpe ‘A’ were runners up in the over 40’s (Jan Baltazarovic, Tomasz Chabowski and Phil Beresford), narrowly losing 6-4 to Boston in the Moran Cup. in the Moran and Johnson Cups, Sunday 10 March 2019, at Grimsby. were victorious in the Barry Johnson Trophy.